From the moment I read the description of Haunted Legends: The Undertaker, I was hooked. Zombies? Heck yeah! And let me tell you, I was delighted with the zombie origin story of this game, which had nothing to do with brain eating or infectious bites. Instead, there’s MAGIC in the air, and the dead appear to be back only to increase the creepy-factor of the town. Which made me SUPER HAPPY, since watching normal zombie carnage usually puts me off eating meat for a while (and you can forget turkey legs, those have been ruined for me for life). 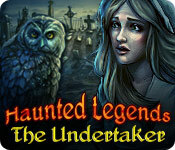 There’s a lot to enjoy about Haunted Legends: The Undertaker. The plot is clearly something I loved (strange Rumpelstiltskin bad guy aside). I was also happy with the voice actors and background music, which didn’t really stick with me but weren’t distracting or terrible during gameplay. I was a bit disappointed by the hidden object areas, which I found to be overly simple (but still lovely to look at). Weirdly, the designers put sparkles on the items that needed to be used to change another item. Like if you need to use a pair of scissors to cut a piece of string so that you can collect the string the scissors would be sparkling, and once you pick the scissors up the string starts sparkling. I was playing on Casual mode, so maybe that wouldn’t happen in the higher levels, but still. Super simple. I also had a bit of trouble navigating, since this is another game that lacks a map, and there seems to be a looooot of back tracking and wandering around. 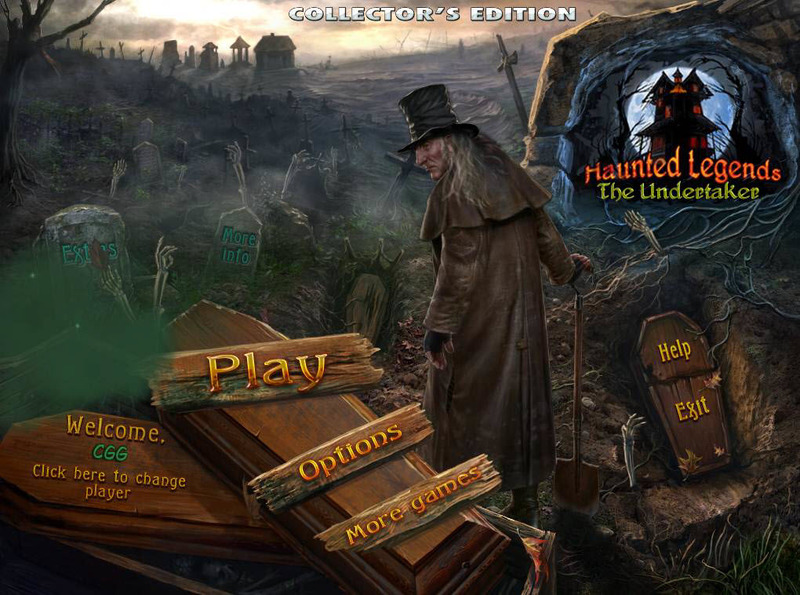 Luckily, I had our Haunted Legends: The Undertaker Walkthrough along for the ride. With the advice of our walkthrough guru to guide me, I was able to stay where I was supposed to be and always make the right turn (and that is super important when trying to stop the zombie apocalypse). With all its clear directions, insider tips, and custom screenshots, our Haunted Legends: The Undertaker Walkthrough is the perfect sidekick to help you put an end to the undead.